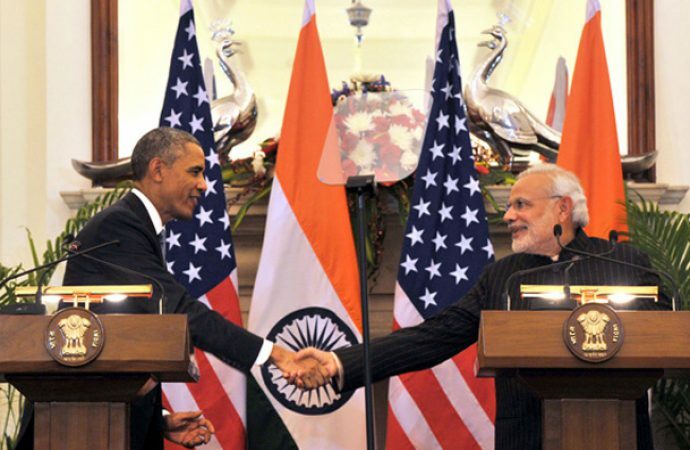 The US and India: pivot to the subcontinent? Does an impending deal on military logistics signal the beginning of a broader strategic relationship? Strategic ties between the US and India are likely to deepen this year as the two countries come closer to signing key military logistics arrangements, expected to be finalised in April. The agreements would allow the two militaries to use each other’s bases for resupply and repair, develop interoperable communications equipment and share military data. Such moves are a pivotal first step in the development of a more comprehensive strategic alignment as both powers respond to a shifting power balance in Asia. However, expectations of a formal alliance should be muted, at least for the foreseeable future. The strategic interests of both powers whilst converging, by no means fully align and lingering practical restraints and political inertia create key obstacles to deepening ties. 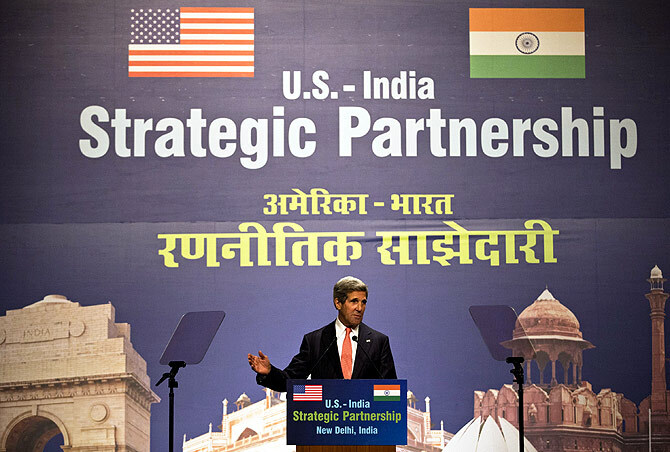 Beijing’s growing assertiveness has become a major concern for both Washington and New Delhi. India in particular appears to be becoming acutely aware of China’s territorial claims in the South China Sea and emerging presence in the Indian Ocean. 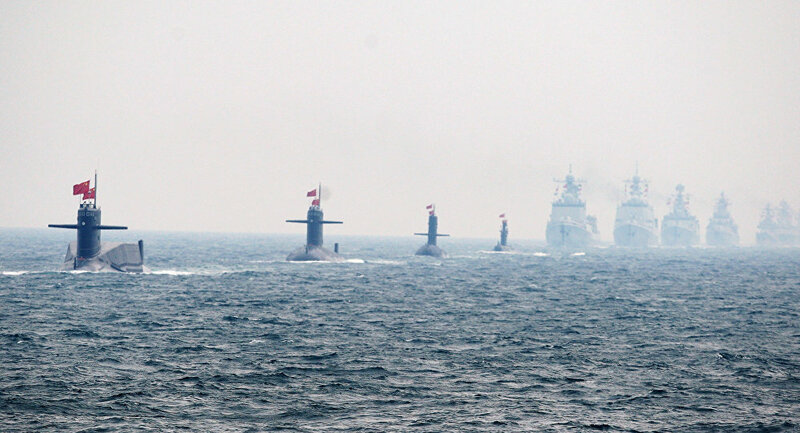 China’s development of its network of military and commercial naval facilities in the Indian Ocean has unsettled Indian policymakers, highlighted by the cries of protest when a Chinese submarine docked in Colombo in 2014. Likewise, continued tensions along the Sino-Indian border and Beijing’s continued military support for Pakistan, particularly in the supply of weapons and nuclear materials continues to trouble Indian strategic planners. 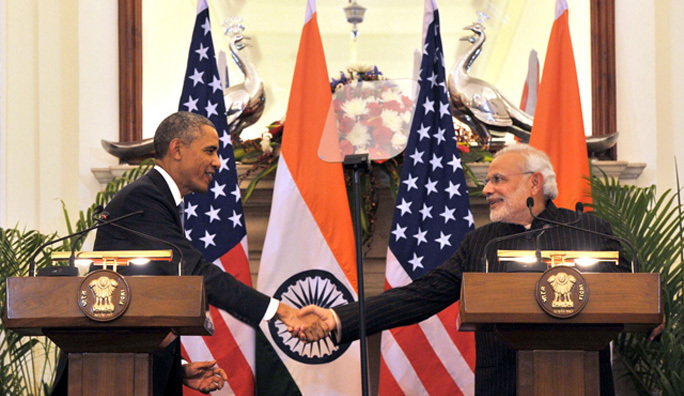 The defence relationship between India and the United States has grown substantially over the past decade. Today, India holds more annual military exercises with the US than any other country and Washington has recently proposed extending cooperation to joint maritime patrols in the South China Sea. Although India has so far resisted US attempts to be drawn into the territorial dispute, 2016 may see the revitalisation of the dumped ‘Quadrilateral Initiative’ – a strategic alignment between Australia, India, Japan and the US that included naval exercises. However, given that China has emerged as India’s largest trading partner, it is uncertain whether India will commit to further US attempts to contain China’s rising power within Asia. Washington’s enduring relationship with Pakistan, India’s arch-rival, remains a key limitation to developing ties with New Delhi. Pakistan remains one of the world’s largest recipients of US aid and received almost $1.5bn of military aid in 2015 alone. Likewise, the supply of high-tech US military hardware to Pakistan has reduced Washington’s ability to sell the same technology to India, as neither country can afford to enter the battlespace with the same equipment. This dilemma has been illustrated by India’s acquisition of Russian-made Su-30 fighter aircraft in response to the US sale of F-16s to Pakistan. Such developments reduce the potential for interoperability between the US and the Indian militaries. Ultimately, there is unlikely to be any major change in the US-Pakistan relationship in 2016, particularly given the continued presence of US troops in Afghanistan and its dependence on Pakistani supply routes. This is likely will likely burden, although not terminally, the development of US-India relations. Arms trading is likely to be the predominant feature of the growing strategic relationship between New Delhi and Washington. Bilateral arms agreements have dominated ties between the two powers thus far, and it appears 2016 will be no different. Arms imports to India is big business, with the subcontinent accounting for 15% of global arms imports between 2006-2014. As the world’s largest arms importer, India has become a major market for the American defence industry, which has overtaken Russia as the predominant source of Indian military equipment. While corruption and political inertia in India have stalled cooperation in the past, both powers are reported to be discussing collaboration on the construction of India’s first indigenously built aircraft carrier. If successful, the project would be a major development in the bilateral relationship, particularly given India’s previously protective stance towards its indigenous defence industry. STRATEGIC AUTONOMY OR HEDGING BETS? While the strategic interests of both nations are converging, it is unclear to what extent India’s strategic outlook will accommodate more extensive ties with the US. India’s foreign policy has traditionally been dominated by the principles of strategic autonomy, self-reliance and non-alignment. Such concepts remain at the strategic core of India’s foreign policy establishment, underscoring India’s resistance to more comprehensive alignments in the past. As Narendra Modi’s BJP party settles into its third year in office it will be interesting to assess whether the party’s focus of realpolitik will transform the US relationship. While the proposed logistical arrangements with the US and growing ties with Japan are an indication of strategic alignment, this trajectory may be tempered by nationalist ambitions. India’s ambition to emerge as a major power, preferably within a multipolar international system, mean it is unlikely that it will be content in an asymmetric alliance with the US. In particular, India has appeared particularly averse to being caught within the Washington’s web of alliances in Asia. Indeed, India reportedly only warmed to further logistical ties with the US after assurances that it would not be bound to support it in any military action it opposes. Although 2016 is likely to be a milestone year in Indo-American relations, it remains unclear whether closer logistical arrangements between the two powers will transform into comprehensive strategic ties.